ST. GEORGE – Ex-NASCAR racer Timothy Tyler Andrew Walker was sentenced in 5th District Court Monday morning for a high-speed chase that ran through three states in early 2013. Walker, 33, of Hermosa Beach, California, appeared in court dressed in an orange-and-white jumpsuit from the Washington County Purgatory Correctional Facility and stood with his attorney Trevor Terry before Judge Eric Ludlow. That would have been the scene on March 16, minus the jail jumpsuit, had Walker arrived on time to his hearing. Instead, he entered the court about 45 minutes after his scheduled appearance and was taken into custody after a no-bail warrant was issued by the court. Terry addressed the court and noted that a presentencing report recommended Walker be sentenced to 90 days in prison. He said that was a bit steep for a first felony offense. Instead, he asked if the court would allow home confinement instead. Ludlow opted instead for the 90 days in jail and 36 months supervised probation for Walker. Walker pleaded guilty on Dec. 23 to felony and misdemeanor charges related to failure to stop at an officer’s command, driving under the influence and drug possession. The charges stem from a Jan. 30, 2013, high-speed chase that ran from Nevada through Arizona and ended in Utah. Law enforcement involved clocked Walker’s car traveling at over 140 mph during the chase. In the car with Walker at the time was Raelle McDonald, also of Hermosa Beach, California. She was arrested along with Walker on drug charges. She pleaded guilty to the charges in May 2014 and was given 36 months probation. Terry said his client had been involved in a 60-day substance abuse treatment program and recommended Walker be put into a similar program again once he is released from jail. He also said Walker getting treatment was a big focus for the state. “I don’t think he’s out of the woods yet as far as his substance abuse goes,” Terry said. He added that Walker was in a better spot than he was two years ago, yet also a worst spot. Walker acted cocky and arrogant when they first met, Terry said. Walker was living a lavish lifestyle at the time and driving expensive cars like the high-end BMW used in the high-speed chase. That is no longer the case, though, and that is a good thing, Terry said. “Tyler’s not out of the woods, but he’s in a better place now,” Terry said, adding Walker’s family has been very supportive through the court process. Walker’s parents were among those seated in the court gallery. Walker, who has been in the county jail since March 16, said the last two weeks have given him time to think and to write down goals for himself and evaluate where he is going. “(It’s) given me a lot of clarity on where I’d like my life to go,” Walker said. Walker apologized to other drivers and law enforcement he put at risk on Interstate 15 during the 2013 incident. He also apologized to the court for being late to the last hearing. Ludlow revisited elements of the 2013 high-speed chase as he told Walker his actions put himself, his passenger and so many others on I-15 at great risk. Members of the Nevada Highway Patrol, Arizona Department of Public Safety and Utah Highway Patrol were each involved in the chase. It didn’t end until the tires of Walker’s BMW were blown out near Utah Exit 4 on northbound I-15. Once pulled over, Walker attempted to flee on foot but was tackled by Arizona DPS troopers. Reportedly under the influence of either drugs or alcohol, or both, at the time, Walker told the troopers he thought they were escorting him to Colorado. No rational person would have thought that, Ludlow said. “Obviously that’s twisted,” he said. Ludlow sentenced Walker to serve 90 days in the Washington County Purgatory Correctional Facility with a subsequent 36 months of supervised probation. He was also ordered to pay a $1,665 fine. If Walker violates the conditions of probation, he could face up to five years in prison for felonies and misdemeanors attached to the chase. Charges out of Arizona and Nevada connected to the case have also been resolved. Walker was a professional race car driver who had raced on the NASCAR circuit and other racing circuits. 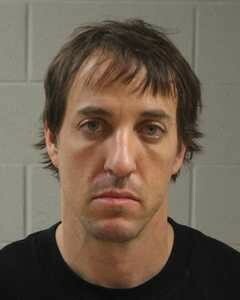 He was suspended from NASCAR racing in 2007 for alleged drug use.